Having missed the last two rounds of the Brian Green Property Group New Zealand Rally Championship, Alex Kelsey has confirmed he will return for his home round of the series, Mahindra Goldrush Rally Coromandel. Having spent literally thousands of hours on the construction of his home built Mad Creation 2, Kelsey decided to take a break from the sport after a frustrating run at the opening two rounds of the championship where his front running pace was halted by a number of small issues, but his participation on his home rally was never in doubt. “I was always going to do Coromandel, no matter how burnt out and sick of it I was,” stated Kelsey. So what has the 23 year old been up to since Rally Otago back in May? Amongst some of those ideas is a new gearbox oil that can withstand the high temperatures the V6 Renault powered rallycar has been producing. 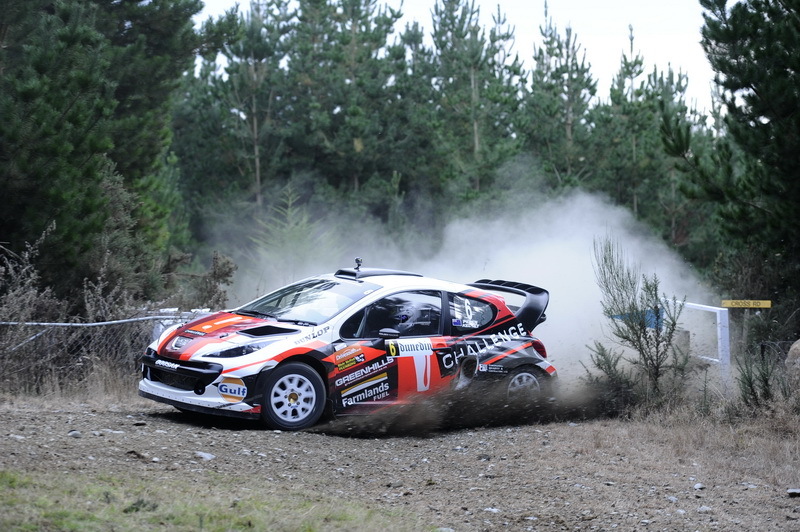 The 2014 edition of the Goldrush Rally of Coromandel event saw crowd numbers normally reserved for New Zealand’s round of the World Rally Championship and Kelsey expects to see similar numbers again in 2015, with plenty of locals keen to support their local heroes. Ever since it debuted in 2014, the MC2 has never lacked pace, even when a coil problem saw the car run for most of last season on five cylinders. However a new season and a car firing on all six cylinders saw Kelsey comfortably setting the pace at the season opening Rally Whangarei, including fending off the challenge of Ken Block. And on his chances of taking a first rally win for the MC2 on home soil.